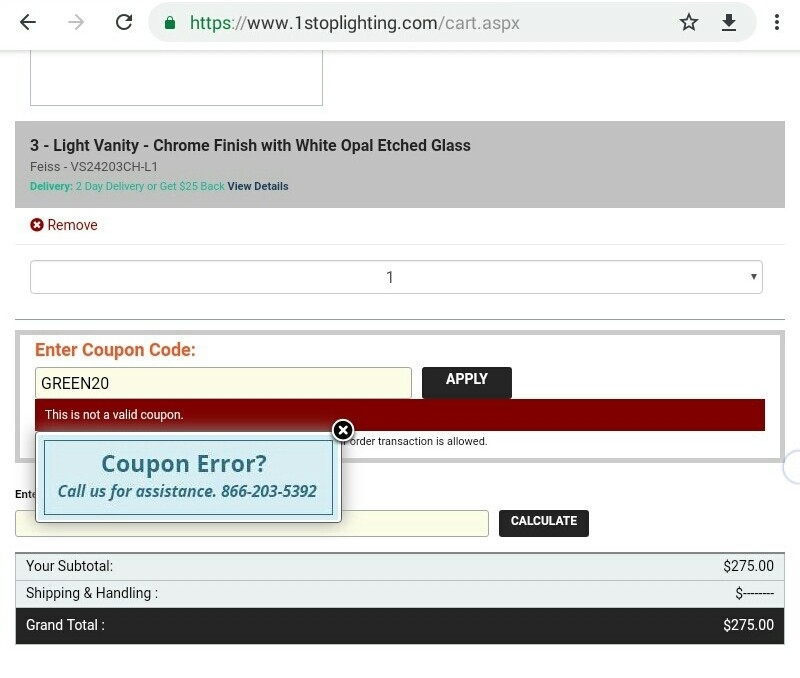 Redeem the coupon with the button, or use this link: http://1stoplighting.com. Expired 2y ago . Last validated 2mo ago . Used 1 time.